Trafalgar Square is a Square in central London and is the most famous square in the world and is one of the Britain»s great tourist attraction. 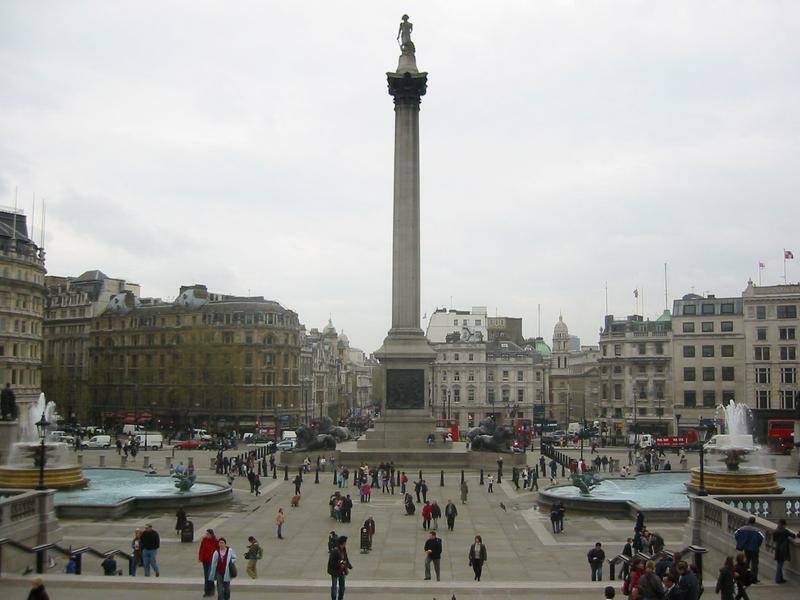 At its center is Nelson» Column which was built to commemorate the victory of Admiral Nelson over the French fleat at the Battle of Trafalgar on the 21st of October 1805. The original name was to have been » King William the Fourth«s Square»,but George Ledwell Taylor suggested the name «Trafalgar Square». The present architecture of the square is due to Sir. Charles Barry and was completed in 1845.The National Gallery occupies the North side of the city. On the East side there is South Africa House. The British Museum and Canada Hous are situated on the West side. Each year in December, the people of Norway send a gift of an enormous Christmas Tree to Britain which is erected in Trafalgar Square. This is thanks for Britain»s part in liberation during the Second World War. What is the most famous square in the world? Where is the COLUMN of NELSON situated? What was the original name for Trafalgar Square? What part of Trafalgar Square does the MATIONAL GALLERY occupy? What can you tell about Christmas Tree in Trafalgar Square?